Greg Gianforte founded RightNow Technologies in Bozeman in 1997, which grew to more than 1,100 employees worldwide. RightNow was the largest commercial employer in Bozeman and the only publicly traded technology company headquartered in Montana before being purchased by Oracle in 2012. Greg is a serial entrepreneur and RightNow was his fifth startup. Having enjoyed a successful career as a software entrepreneur, he is passionate about helping other entrepreneurs be successful. Greg and his wife Susan raised their four children in Bozeman. He has served on numerous local, national, public, private, for-profit, and not-for-profit boards, and is a trustee for the Gianforte Family Foundation. To read more about Greg, check out his LinkedIn page. 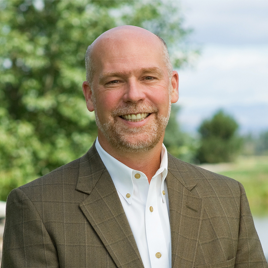 You can also follow Greg on Twitter at @gianforte. If you are looking to start a business in Montana and would like to request a copy of his book, you can do so in the form below. Don't worry, we will only use this information to respond to your message.